Mantra Sakala Resort & Beach Club seamlessly combines authentic Balinese ambience and hospitality with 5-star luxury and impeccable service. 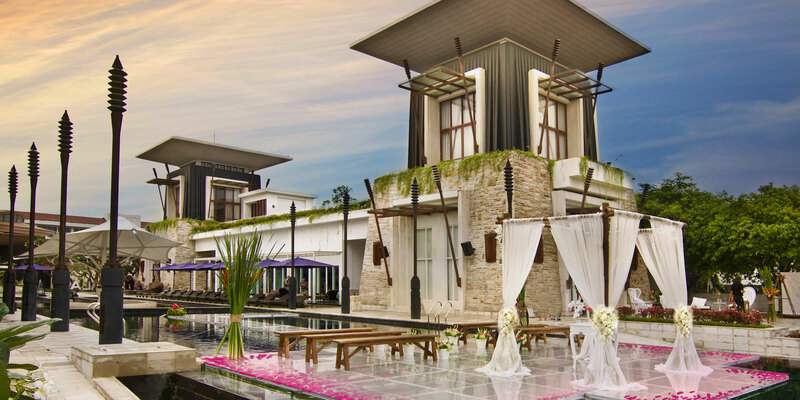 To ensure that our guests make the most of their holiday on the Nusa Dua peninsula, we offer an exclusive collection of hotel deals, family vacation specials and romantic packages. Whether you are visiting Mantra Sakala for a family holiday, romantic getaway or group vacation, we have the perfect deal for you. King or 2 Twin Beds (by request, based on availability). Our modern, 62 sqm, Sakala Suites feel like private Balinese residences with locally-inspired textures artfully integrated into the sumptuous bedroom, expansive marbled bathroom, luxurious vanity area, spacious living and dining areas. Amenities include private balcony, kitchenette, 2 LED TVs and coffee maker. King or 2 Twin Beds (by request, based on availability). 62 sqm. There is plenty of space to unpack and stay awhile, in our spacious suite with shimmering pool views. 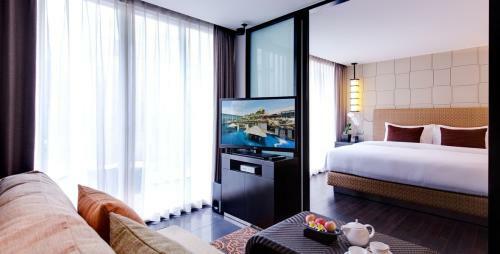 Enjoy modern Balinese textures artfully integrated in the generous modern living and dining area. The Deluxe Sakala Suite also features a kitchenette, sumptuous bedroom, spacious wardrobe and expansive marbled bathroom.